As WikiLeaks allegedly revealed thousands of pages about US Intelligence agencies’ cyber-espionage capabilities, and as hackers continue to broaden their avenues of attack, one of the vulnerabilities revealed was smart TVs. However, Prof. Ofer Hadar (pictured left), Chair of BGU’s Department of Communication Systems Engineering warns that the threat is actually much greater. “Any video or picture downloaded or streamed by a user is a potential vehicle for a cyber-attack. What’s more, hackers like videos and pictures because they bypass the regular data transfer systems of even secure systems and there is a lot of space to implant malicious code,” says Hadar. 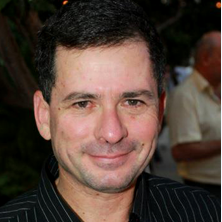 He has dubbed it The Coucou Project and received significant funding from the Cyber Security Research Center at BGU, a joint initiative of BGU and the Israeli National Cyber Bureau, to develop his protective solution. In addition, the BaseCamp Innovation Center at the Advanced Technologies Park adjacent to BGU is interested in developing the platform into a commercial company. Hadar’s Coucou Project assumes two potential attack scenarios, both of which assume that basic malware has been planted on the victim’s servers/hosts by means of social engineering or other types of vulnerability exploitation; from there, the malware gathers classified information from the victim’s data center. In the first case, once the user uploads an image or a video to a social network, the malware embeds the classified information into the uploaded content (making it accessible to the attacker), and then the attacker can download the infected content and extract the classified information. In the second scenario, the attacker uploads infected content to a social network or any other server and the malware extracts the shell code and executes it. “When considering future applications of the Coucou product, we envision covert channel and protection applications and anticipate that the technique will be used by Firewall and antivirus companies,” adds Hadar. At Tel Aviv confab, prime minister announces new National Center for Cyber Education to keep Israel’s young generations at the top of the cyber game. As computer devices and Internet of Things (IoT) connectivity continue to break new boundaries and create changes to our lifestyle, new cybersecurity technologies to defend our tech-savvy lives are crucial. Last year saw 65 startups created in Israel’s cyber space, according to Start-Up Nation Central, a nonprofit organization. Altogether, the country boasts about 450 companies specializing in cyber, according to a Reuters report. YL Ventures’ report showing the hottest types of cybersecurity solutions to attract investment in 2016 included mobile security, vulnerability and risk management, network security, SCADA security and incident response. 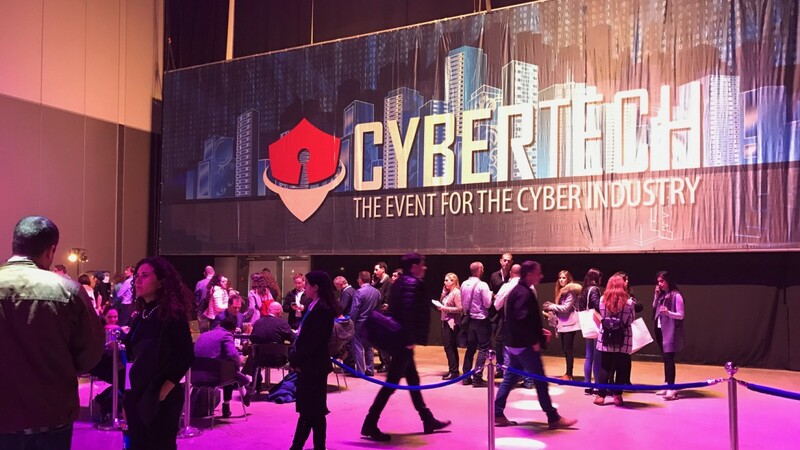 Cybertech 2017, held for its fourth year at the Israel Trade Fairs & Convention Center, attracted over 10,000 visitors, investors, entrepreneurs and cyber companies. 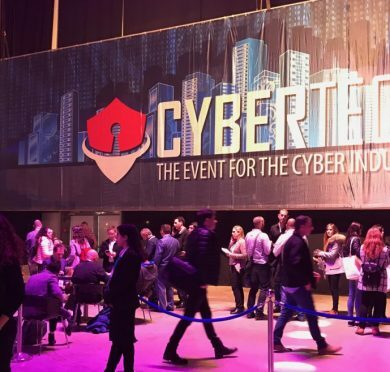 Cybertech is the second largest conference and exhibition of cyber technologies in the world. Calls for collaboration echoed around the Trade Fairs hall. 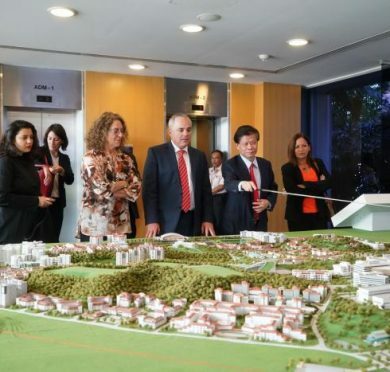 Nanyang Technological University (NTU) of Singapore and Ben-Gurion University of the Negev (BGU) announced a new collaboration to develop technologies for tackling advanced persistent threats (APTs). Yuval Elovici, head of BGU Cyber Security Research Center, told journalists that the research and patented technology developed at the university are used to create new prevention and detection tools. Elovici gave an example of how smartwatches can be hacked, and when worn into a secure environment, end up compromising the organization. 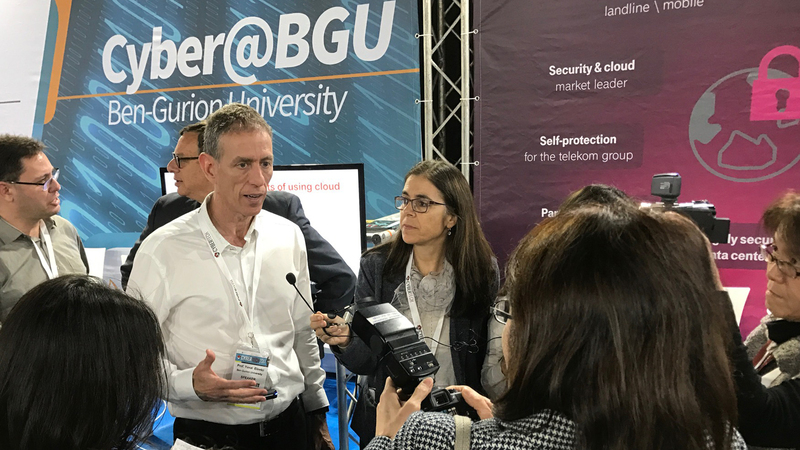 At the BGU exhibit area, two prominent examples of research-to-startup success include Morphisec, which is now opening a US office, and Double Octopus, which recently announced a $6 million investment round. 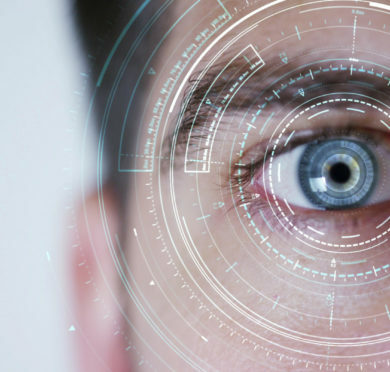 Both companies developed cyber security prevention and detection tools based on patented technology originating out of Ben-Gurion University of the Negev. 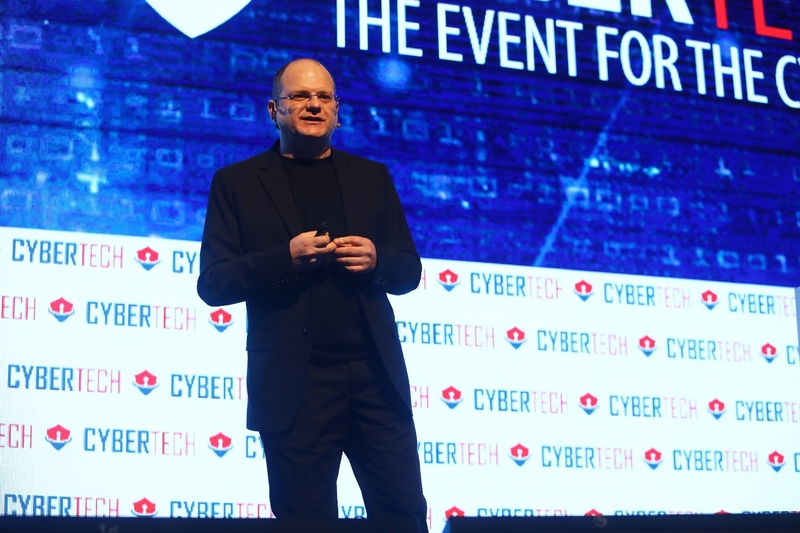 Israel’s vision some 20 years ago to put cyber on top of the agenda was crucial to the country’s place as a world cybersecurity expert today. To further that vision and to keep Israel’s new generation at the top of the cyber game, Netanyahu announced the creation of a National Center for Cyber Education. 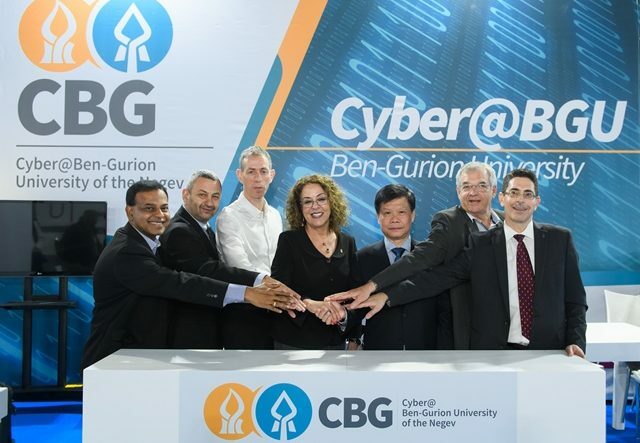 Nanyang Technological University (NTU Singapore) and Ben-Gurion University of the Negev (BGU) are collaborating to find innovative ways to counter cyber threats. The aim of the joint research project, called the Bio-Inspired Agile Cyber Security Assurance Framework (BICSAF), is to develop innovative technologies for tackling Advanced Persistent Threats. These are stealthy and continuous computer hacking processes run by individuals who target specific entities, such as private organisations and state agencies. Their long periods of covertness make it difficult to detect such threats with current technology. NTU Chief of Staff and Vice-President of Research Prof Lam Khin Yong and BGU Vice-President and Dean of Research & Development Prof Dan Blumberg signed the joint research agreement at the CyberTech Conference in Tel Aviv yesterday (pictured above – photo Credit: Gilad Kavalerchik). Israeli Prime Minister Benjamin Netanyahu was the conference’s guest-of-honor earlier in the day. 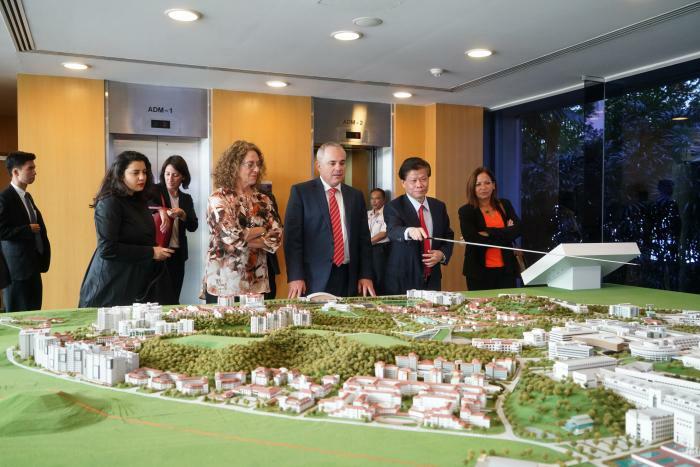 The project will have S$3 million in joint funding from NTU, BGU and the National Research Foundation (NRF), Prime Minister’s Office, Singapore. 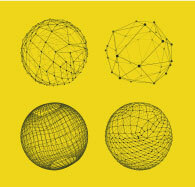 The collaboration is supported by NRF through its National Cybersecurity R&D Programme. In collaboration with the Cyber Security Research Centre at NTU, the new initiative will be led on the BGU side by Cyber Security Research Center director Prof. Yuval Elovici, and Dr. Rami Puzis of the Department of Software and Information Systems Engineering. In developing new technologies to counter cyber threats, the two partners are inspired by the ability of the human body’s immune system to adapt to and fight ever-evolving bacteria and viruses. NTU has invested heavily in its cyber security expertise in recent years, including a S$2.5 million partnership last year with BAE Systems to jointly develop next-generation cybersecurity solutions. Mr George Loh, Director (Programmes) of NRF and Co-Chair of the National Cybersecurity R&D Programme Committee , said, “Singapore has established a holistic national cybersecurity strategy that will support our Smart Nation vision and enhance Singapore’s standing as a trusted digital hub. It is critical for Singapore to develop strong cybersecurity capabilities to protect our critical infrastructures such as our public transport systems, public safety systems, and energy systems, which are interconnected elements contributing to the quality of life for Singaporeans. 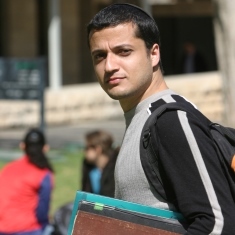 The Department of Software and Information Systems Engineering at BGU is the largest in Israel, with significant resources devoted to cyber security research. BGU also set up the Cyber Security Research Center with the Israel National Cyber Bureau to identify risks while protecting critical national infrastructure. Singapore’s National Research Foundation (NRF) is a department within the Prime Minister’s Office. The NRF sets the national direction for research, innovation and enterprise (RIE) in Singapore. It seeks to invest in science, technology and engineering, build up the technological capacity of our companies, encourage innovation by industry to exploit new opportunities that drive economic growth, and facilitate public-private partnerships to address national challenges. Under RIE2020, the NRF is committed to create greater value in Singapore from our investment in research, innovation and enterprise through 1) closer integration of research thrusts, 2) stronger dynamic towards the best teams and ideas, 3) sharper focus on value creation, and 4) better optimised RIE manpower. 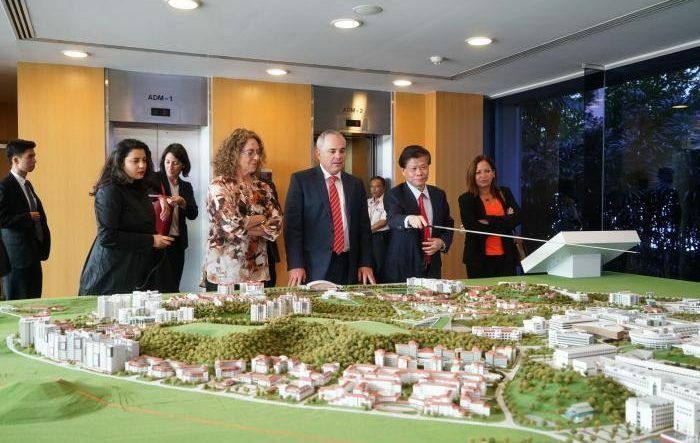 The cooperation agreement was signed this week, during the Cybertech Singapore conference, in the presence of the president of Ben-Gurion University, Prof. Rivka Carmi, the heads of NTU, Israeli Minister of Energy Dr. Yuval Steinitz and Israel’s Ambassador to Singapore, Yael Rubinstein. 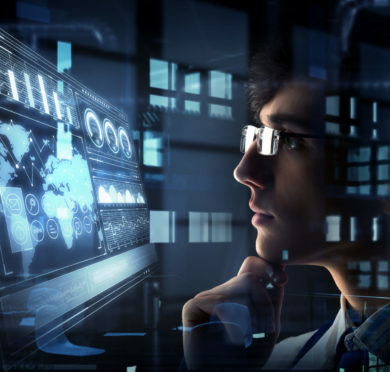 Israel and Singapore share a wide framework agreement for cooperation in the field of cyberspace, which is the basis for agreements between institutions and organizations from both countries. 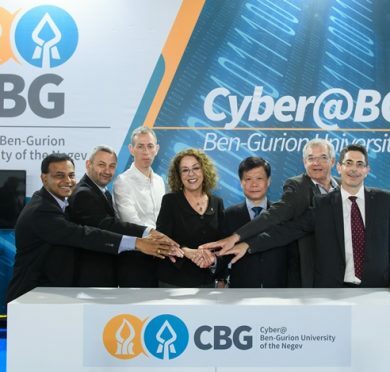 Ben-Gurion University is considered a world leader in the field of cyber, and the Singaporean University is inaugurating a new cyber research center. The agreement signed on Tuesday states that the two universities will carry out joint research projects funded by the two organizations. The projects will be led by Prof. Yuval Elovici of Ben-Gurion University and professor Prof. Thambipillai Srikanthan of NTU. 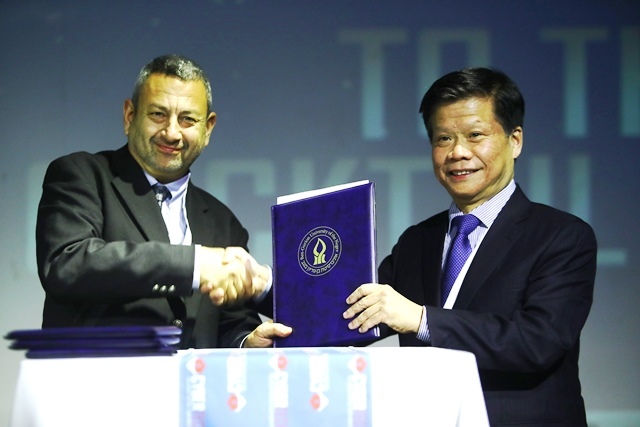 In addition to the agreement with Ben-Gurion University, NTU also recently signed a cooperation agreement with the Israeli defense company Rafael. Prof. Lam Khin Yong, Chief of Staff and VP Research at NTU, said in his address at the conference that the university aims to lead the cyber research and create a close relationship between research and industry. Prof. Rivka Carmi presented the unique cyber “ecosystem” in the city of Be’er Sheva, Israel, which includes the academy, the military, and the industry.